The top winner of the competition will receive a sum of $30,000 USD as prize money. The participant will be chosen by the panel of professional photographers. The 2nd and 3rd winner of the competition will each receive a $10,000 USD each as prize money. 2 winners will be chosen by the panel of professional photographers. The 4th, 5th and 6th winner of the competition will each receive a sum of $5,000 USD as prize money. 3 winners will be chosen by the panel of professional photographers. 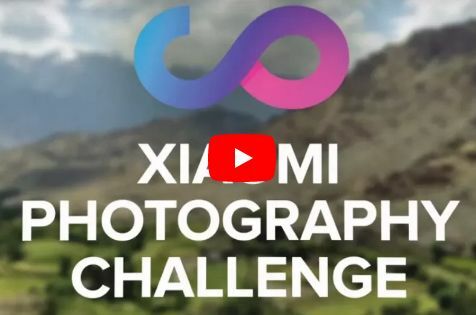 Participants whose photo submissions are voted as the top 5 for each country (India, Russia, Vietnam, Indonesia) will each win a Xiaomi Mi A1 phone. There will be a total of 20 winners decided based on the votes of their photo submissions. syarat ketentuan: Photos submitted for the competition must be taken and edited by the Mi A1 Smartphone. No external editing software or mobile applications can be used except for the Mi A1’s in-built photo editor. Photos submitted for the competition must contain EXIF information. Otherwise the photos will not be Photos will be screened by Xiaomi to assess eligibility. Photos submitted past the deadline (11 December 2017 Beijing Time) or submissions not up to standards will not be published on the website. Xiaomi will be inviting a panel of professional photographers to judge and choose the Global winners from 11 December 2017 to 20 December 2017. There will be no registration fees for the competition. Each participant is able to upload a maximum of 10 photographs per day. Participants are obliged to check the details of their photographs before uploading as it cannot be changed once uploaded.